Bhubaneswar: Netaji Subash Chandra Bose is one of the most enigmatic freedom fighters of India. Today, on his 121st birth anniversary, this article is a tribute to a true hero. Subhas Chandra Bose was born on 23 January 1897 in Cuttack, Orissa Division, Bengal Province, to Prabhavati Dutt Bose and Janakinath Bose, an advocate belonging to a Kayastha family. He was the ninth in a family of 14 children. His family was well to do. His nationalistic inclination was evident from very beginning when he was expelled from his college for assaulting a Professor for insulting Indian students. He even quit the Indian Civil Services because that would have meant working for the British government. He started the newspaper ”Swaraj” and took charge of publicity for the Bengal Provincial Congress Committee. In the year 1923, Bose was elected the President of All India Youth Congress and also the Secretary of Bengal State Congress. He was also the editor of the newspaper “Forward”, founded by Chittaranjan Das (his mentor). Bose worked as the CEO of the Calcutta Municipal Corporation for Das when the latter was elected mayor of Calcutta in 1924. 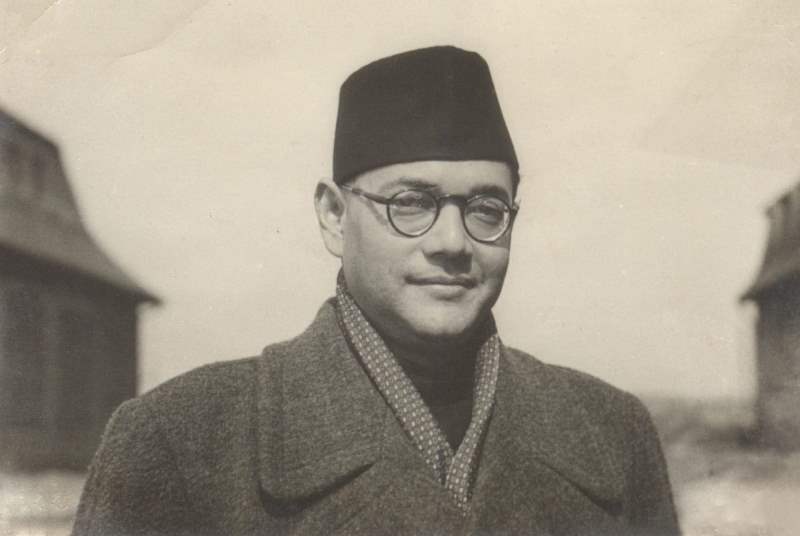 In 1927, after being released from prison, Bose became general secretary of the Congress party and worked with Jawaharlal Nehru for independence. 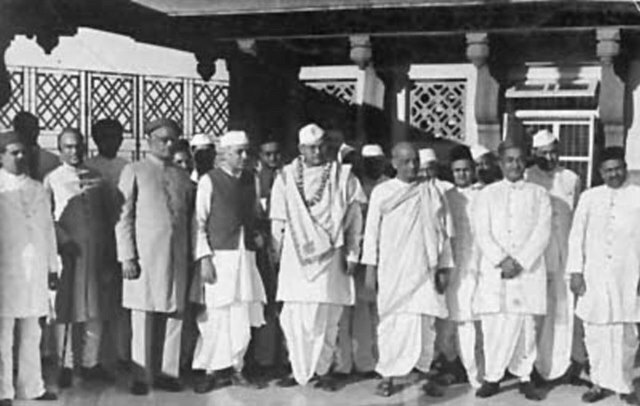 In late December 1928, Bose organized the Annual Meeting of the Indian National Congress in Calcutta. Bose was leader of the younger and more radical sect of Indian National Congress (INC). He even rose to become INC’s president during 1938-39. But he was later ousted from the party due to ideological differences with Mahatma Gandhi and the Congress high command. On 22 June 1939 Bose formed the All India Forward Bloc; a faction within the Indian National Congress. He came to believe that an independent India needed socialist authoritarianism, on the lines of Turkey’s Kemal Atatürk, for at least two decades. He very vocally opposed the Dominion status and had campaigned for a Civil Disobedience Movement to protest against Viceroy Lord Linlithgow’s decision to declare war on India’s behalf without consulting the Congress leadership. Not getting Gandhi’s support, he organized mass protests in Calcutta. Bose was later arrested by British. But upon 7-days of hunger strike, he was subsequently placed under house arrest by the British before escaping from India in 1940. Bose arrived in Germany in April 1942. With German funds and help he began broadcasting on Azad Hind Radio. He founded the Free India Center in Berlin, and created the Indian Legion (consisting of some 4500 soldiers) out of Indian prisoners of war who had previously fought for the British in North Africa prior to their capture by Axis forces. Subash Bose lived in Berlin from 1941 until 1943. During his earlier visit to Germany in 1934, he had met Emilie Schenkl, the daughter of an Austrian veterinarian whom he married in 1937. Their daughter is Anita Bose Pfaff. Bose very soon realized that German forces’ help is a mask for their own political propaganda. He traveled to Imperial Japan to get all the support he needed. 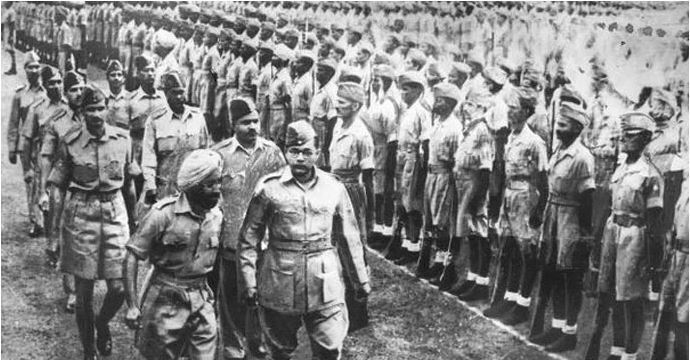 The Indian National Army (INA) was formed in early 1942. The troops of the INA were under the aegis of a provisional government, the Azad Hind Government, which came to produce its own currency, postage stamps, court and civil code. 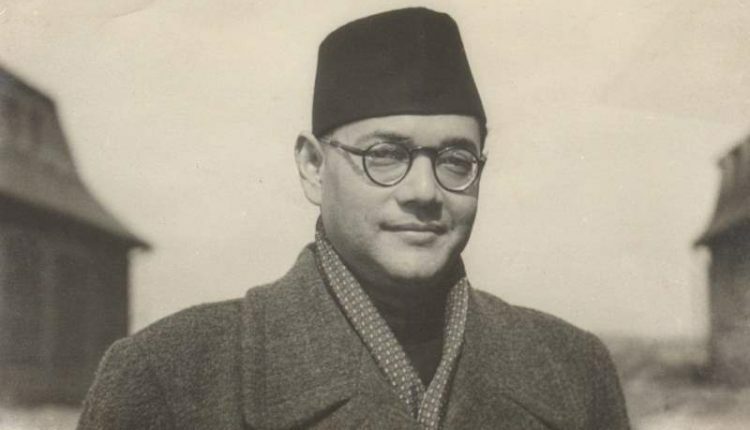 Bose most famous quote “Give me blood, and I will give you freedom” was a part of a motivational speech for the Indian National Army at a rally of Indians in Burma on 4 July 1944. Turns out, the Japanese forces too had their political advancement agenda. Still the INA fought in key battles against the British Indian Army in Burmese territory, notable in Meiktilla, Mandalay, Pegu, Nyangyu and Mount Popa. However, with the fall of Rangoon, Bose’s government ceased to be an effective political entity. 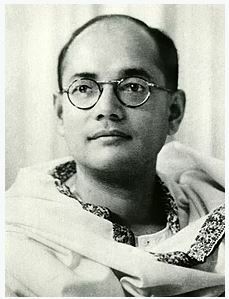 In general consensus opinion, Subhas Chandra Bose’s death occurred from third-degree burns on 18 August 1945 after his overloaded Japanese plane crashed in Japanese-ruled Formosa (now Taiwan). 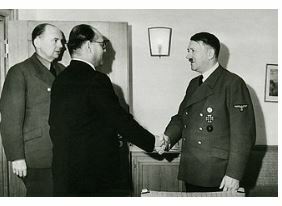 Lots of conspiracy theories have been afloat regarding death of Bose. Many theorists believe him to be alive till late 1966 also, but there have no actual proof to back this. 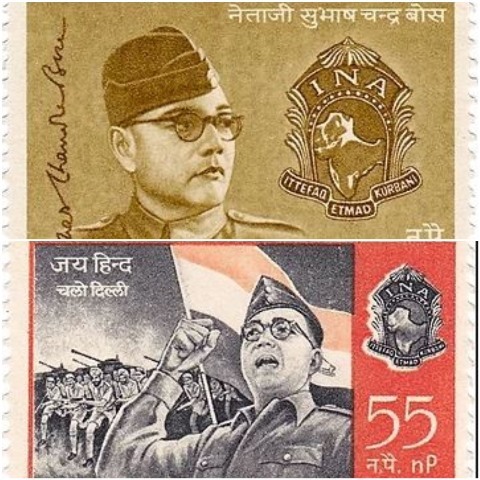 There have been numerous stamps dedicated to Netaji. Kolkata airport is named after him too. Also, PM Modi inaugurated Subhash Chandra Bose Museum At Red Fort today.